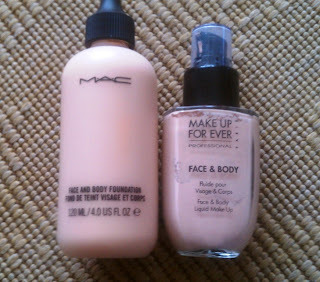 A few weeks back, I had a MAC gift card burning a hole in my pocket so I decided to try their F&B foundation. Purchasing the MAC version and road-testing it made me realize that I needed to give the MUFE version a little more love too - and a blog post comparing the two, since they're so similar, seemed like a good idea. When I went to my local MAC store, the artist who helped me matched with shade N1 - which is slightly too dark and can sometimes look a little orange-y too. That's not a major problem with this formula, as it might be with other foundations, because it's so liquid-y and lightweight that blends into the skin almost seamlessly... but I do wonder if the MAC artist color-matched me wrong. Perhaps C1 would be a better match for my skin. 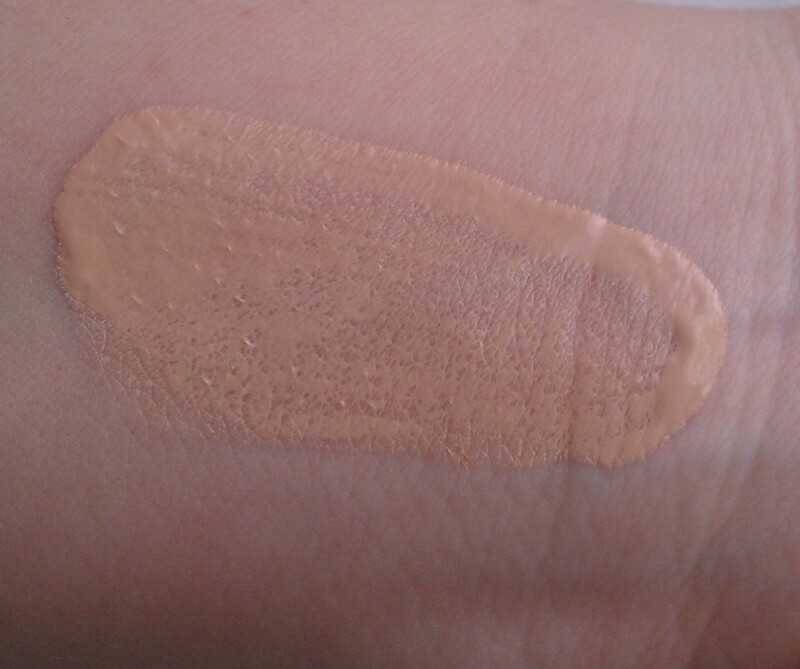 I purchased the MUFE F&B foundation in shade Pink Porcelain 38, which is described, as you'd expect as being for porcelain skin with pink undertones. Now, that's pretty much an exact description of my skin tone so it's no wonder that the MUFE F&B foundation matches my skin pretty much perfectly. It's definitely lighter than its MAC counterpart in N1. 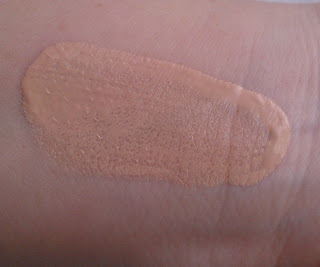 While both formulas are water-based, the MUFE has a thinner consistency and feels more watery. But surprisingly, it offers better coverage than the MAC version. 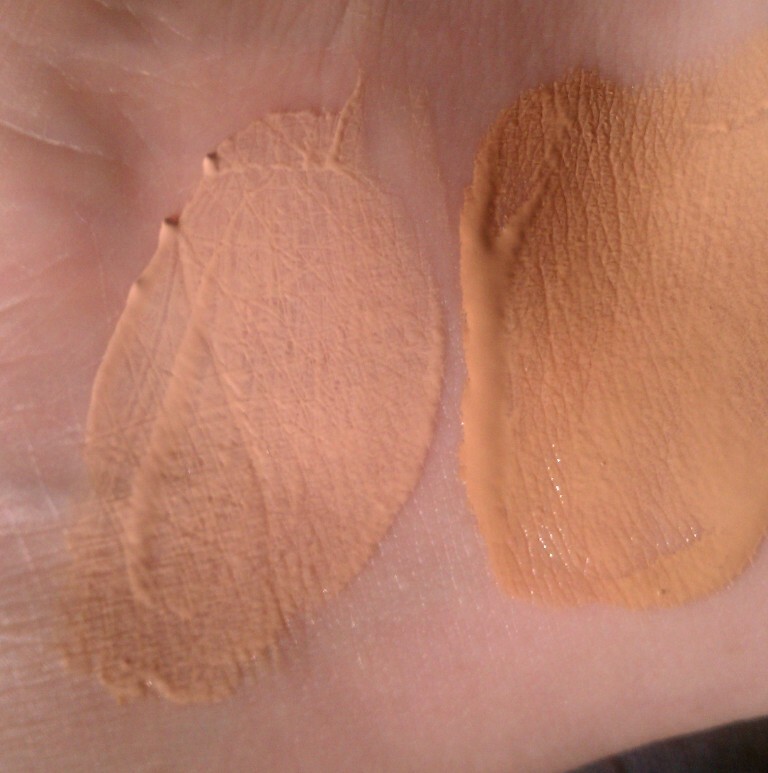 It's important to note, though, that both of these foundations provide extremely light coverage - slightly better than your average tinted moisturizer, I'd say - so if you've got a lot of acne, scars, sun damage, etc. that you want to hide completely, neither of these foundations is for you. I love the way both of them feel on my skin - like I've got nothing on my skin at all. Because this type of formula is so lightweight, I've actually read about makeup artists using the MAC F&B as a primer for a heavier coverage foundation. I haven't tried that yet myself, but it's something I'm definitely interested in doing in the future. Both F&B foundations have what I'd say is a natural, satin finish, though I don't feel that the MAC F&B sets as well as the MUFE version. It actually feels kind of sticky or tacky to the touch, so I always feel the need to set it with powder. When I wear the MUFE F&B, I can usually skip powder unless I want to add a little extra coverage. The one category where I feel the MAC version has it all over the MUFE is price. With the MAC F&B foundation, you get 4 fl. oz (Yes, you read that right - 4!) for $33. You'll pay $40 for 1.67 fl. oz. of the MUFE F&B foundation. That's a pretty big difference in price per ounce - the MAC version is really an unbelievable value considering your average foundation only contains 1 fl. oz. MAC F&B is supposed to be water-resistant, while the MUFE F&B calls itself water-proof. I haven't tested either of them in terms of these claims, so I can't really speak to that point. All in all, I prefer the MUFE F&B foundation to the MAC version. The color is such a beautiful match for my skin, it feels so lightweight on the skin, and while it doesn't provide a ton of coverage, it sort of blurs all the blotchiness out of my skin so it looks fresh and natural. I really love this foundation. The MAC version is nice enough - it just doesn't distinguish itself from the other "average" foundations that I have in my collection. Have you tried either F&B foundation? Which do you like best? What's your favorite foundation for warm weather? It really is amazing how light it feels and how much coverage it provides. And it sets so nicely too! Thank you so much for the swatches... I have the makeup forever in #38 and have always wondered about macs version. You're very welcome. :) I still much prefer the MUFE version to the MAC both in terms of the shade and performance.